The sun sets over the Austria Center Vienna (ACV), where the 2016 EGU General Assembly is being held this week. Photo Credit: Nanna B. Karlsson. 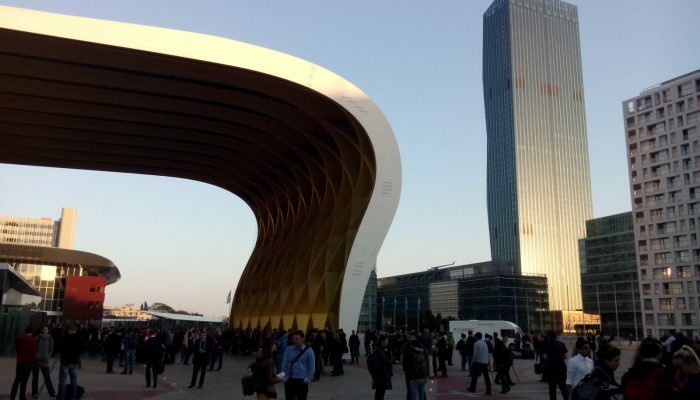 The EGU General Assembly, which takes place each year in Vienna, Austria, draws to a close today. Attended by nearly 13,650 participants from 111 countries, with around a third of those being students – a great turn-out for this vital part of the early career scientists (ECS) community! It has been a very productive meeting for the cryosphere division with a huge number and variety of oral and post sessions covering a wide spectrum of the cryospheric sciences. 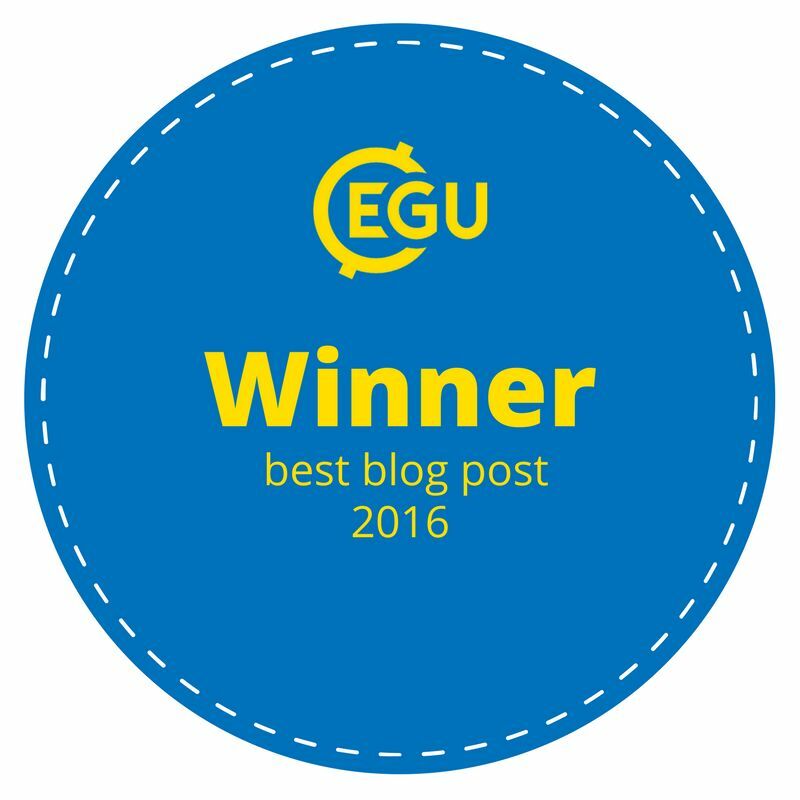 This year a number of short courses were organised by your EGU Cryosphere blog team – including a meet the editor session with Frank Pattyn which is happening this afternoon, so get yourselves along to Room 2.85 at 13:30! 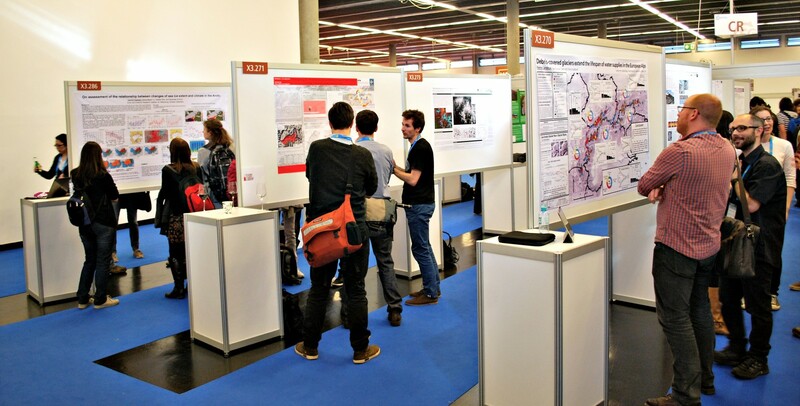 A cryosphere poster session at the 2016 EGU General Assembly. Photo Credit: Kai Boggild. 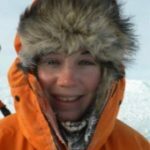 We have been lucky to have our very own and very talented Student Reporter Kathi Unglert reporting from the meeting this week, so look out for her reports from the meeting appearing on the blog soon. A great evening was had by all who attended the ECS cryosphere social on Wednesday night and we can’t wait until EGU 2017! Image of the Week — ice tsunamis !